Roll up, roll up for the BIG SWING!! We can book this event for a date that suits you – contact us to get the ball rolling. This is the first purpose built, permanent swing platform from a bridge in Britain. The Highland Fling bridge swing offers an experience from a specially designed swing platform 40 metres above the River Garry. 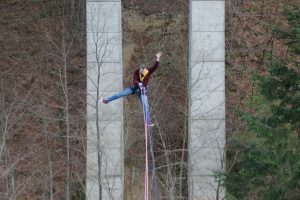 You will drop into a free fall of around 15 metres before the rope takes the slack and you accelerate through an arc under the bungee platform. Once the swing is over, you are winched back to where you started. A safe and unforgettable adrenaline packed experience using the latest technology and safety equipment, led by experienced, qualified Bridge Swing Masters. Participants should be in good general health – if in doubt, please consult your doctor. The swing takes place on a swing platform which is suspended below the Garry Bridge over the River Garry near Pitlochry, Perthshire. The site is operated from the visitor centre in Killiecrankie. The address is: Killiecrankie Visitor Centre, Killiecrankie, Perthshire, PH16 5LG. Please note there is limited parking at the Killiecrankie Visitor Centre. 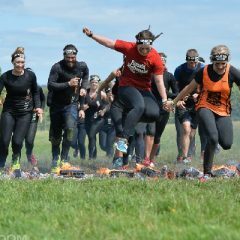 You need to raise a minimum of £160.00 to take part in this event. Please remember that this is the minimum sponsorship required, so anything over and above this sum will be very gratefully received. To secure your place we require a £60 deposit which is non-refundable. 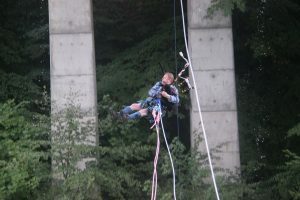 So the amount left to fundraise before your Bungee is a further £100. Want to break away from the crowd and do your own thing? Perhaps setting up your own Assault Course in your back garden? Or create a community fundraiser? 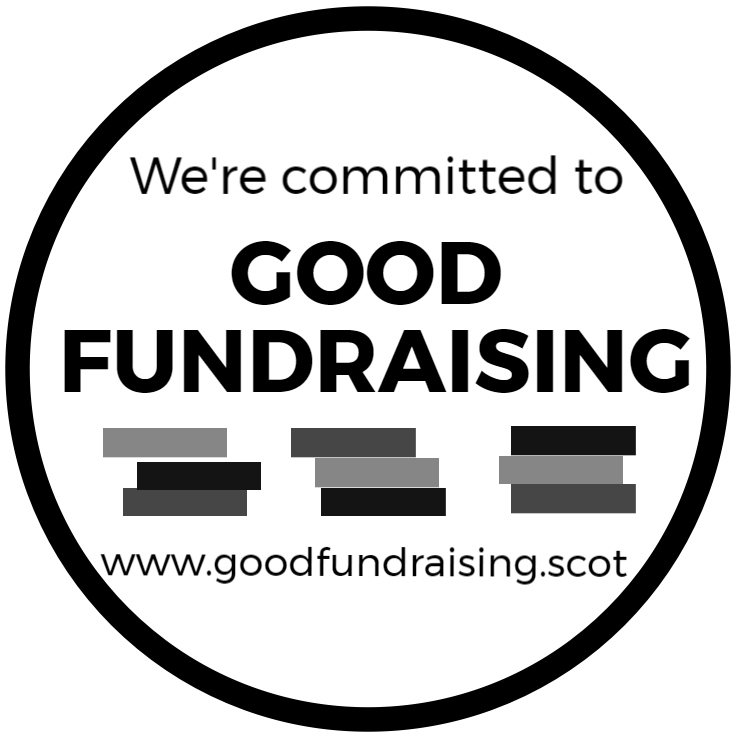 We can help you raise funds for families who are miles from home.